As such we have all the knowledge to help you choose the perfect blind for you. Call us on 01934 626893, email us at info@westonblinds.co.uk or pop in and see us to see how we can help you! We offer FREE local fitting with all standard Vertical Blinds or 40% off if you fit them yourself and as being Weston-super-Mare’s only blind manufacturer we offer great prices on a huge range of Vertical Blinds. We have been producing and fitting great value made to measure blinds for almost 40 years. At Weston Blinds local ‘web’ shop we offer a huge range of blinds, fabrics and colours including all the big name brands such as Eclipse, Louvolite, Irwin, Arena, Perfect Fit, INTU & Velux. All blinds that we fit will comply with the recent child safety regulations and all blinds we supply will have the safety device attached. For our best prices please pop in and see us but don’t forget to bring your measurements along! If you order we’ll happily come by and check your measurements. Vertical Blinds are great for controlling the amount of light coming into a room and are perfect for patio doors and windows. Roller blinds are perfect for adding simple style to any room and are the practical choice for kitchens and bathrooms.. Wooden blinds look stylish whether your décor is contemporary or traditional and are one of the most popular types of blinds. Venetian Blinds are a versatile and economical choice that can compliment the design and feeling of any room. Roman Blinds bring sophistication and taste to any room, combining the stylish lines of curtains with the simplicity of a blind. As well as manufacturing and fitting blinds we also provide a range of blind components such as weights, cords and chains. Replacement slats are an ideal way to change the style, feel or look of your room without the need for completely new blinds. Pleated blinds are a practical, attractive option with this style of blind looking just as good when raised as drawn. Not all blinds are made to the same quality standards as ours so if you have a broken blind call or pop in to see if we can help. Ostrich Feather Dusters are designed for dusting naturally as they collect and hold the dust and are effective and eco-friendly. If you want to visit please call us to arrange as we may be out fitting blinds. Please note the shop will not be open on bank holiday weekends. 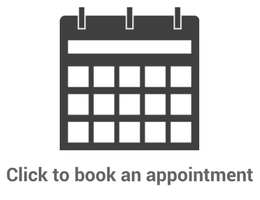 Appointments can be made for us to visit you on the Appointments page. "You can certainly tell the difference compared to the mass manufactured superstore blinds we have previously purchased!" Copyright © 2017 Weston Blinds. .
.'; ?> <a href="" title=""> .